There are many great musicians that are gone but not forgotten. Some of them provided us with the best in skating music. 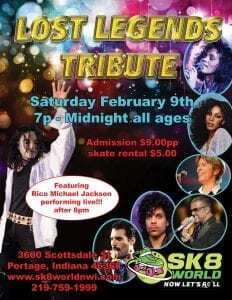 Legends like Michael Jackson, Whitney Houston, Donna Summer, Prince, George Michael, David Bowie and Freddy Mercury had great songs that made you want to get up and dance or skate.Sk8world of Portage Indiana’s big event Lost Legends Tribute will feature these artists and more. Performing live during the event is Rico Michael Jackson, one of the best Michael Jackson impersonators in the Chicagoland area. 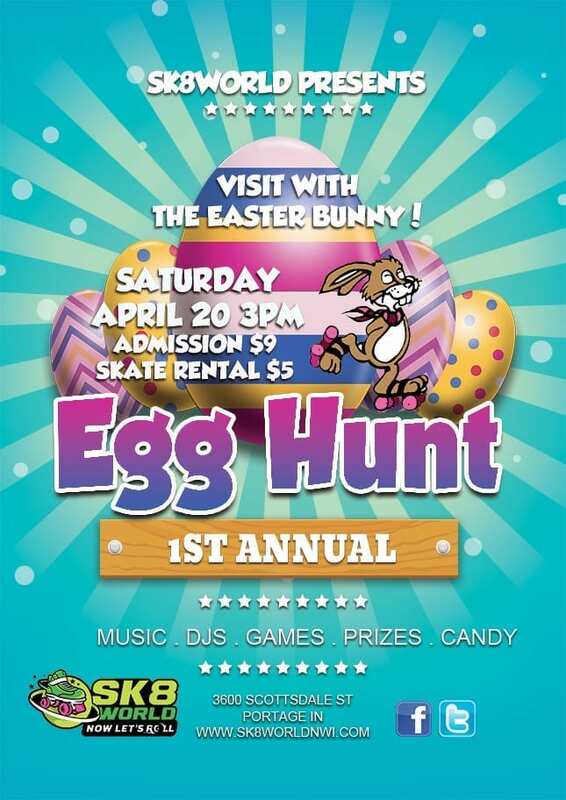 This event is appropriate for all ages, entry fee is $9.00 and skate rental is $5 if needed.We hope you will bring your friends and family to skate at our Lost Legends Tribute on Saturday, February 9, 2019 from 7pm – Midnight!